Can USSD really make IoT more affordable? A use of old technology in a new way is transforming the potential capabilities of IoT. 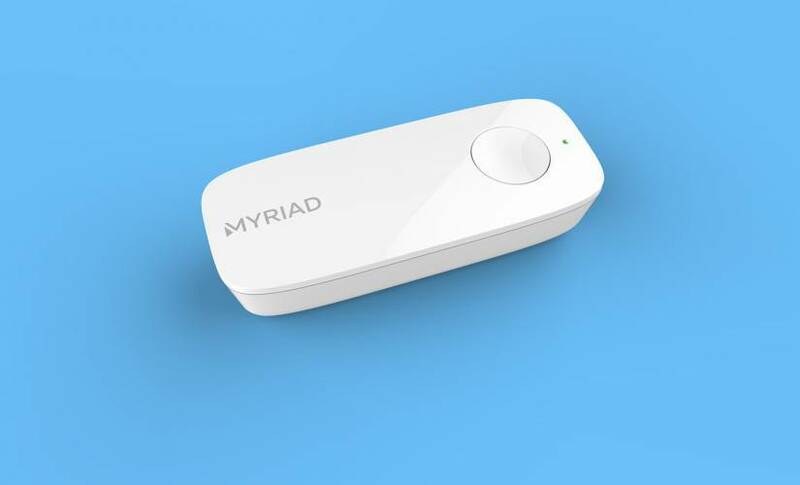 Myriad Group, a mobile software company that originated in Switzerland in the 1990’s, have created Pressto, a connected bundle built on Myriad’s IoT platform, ThingStream.io. The device uses the Unstructured Supplementary Service Data (USSD) protocol to send 182 character messages to the Pressto server across cellular networks. Pressto bundles a connected button, GSM connectivity, and management platform in a single package which allows you to focus on building the application that the button press triggers. The press of a button transfers a small payload of information to your application which includes GPS coordinates along with time/date and simple button status information. USSD is a protocol used by Global system for Mobile Communications (GSM) cellular telephones to communicate with the service provider’s computers. It can be used to provide independent calling services such as a callback service (to reduce phone charges while roaming), enhance mobile marketing capabilities or interactive data services, people know it most commonly as a means to query a phone’s available credit. I spoke to Neil Hamilton, VP Business of development at Myriad Group to find out more. Myriad Group have established global roaming network access with 600 plus carriers and through the use of supplied embedded sim cards their users can transmit data and submit signals from almost anywhere in the world. What kind of use cases suit USSD? Agricultural and environmental services companies can be faced the challenge of trying to monitor hectares of farming land or agtech solutions when they’re often near roads that get busy at certain times of day or cell base stations get really and they can’t always have ubiquitous connectivity. See also: How to turn hardware into IoT by simplifying connectivity? Hamilton notes that the more they discuss USSD as a data conduit for industrial applications, the more use cases emerge. Today, a number of sensor manufacturers are exploring sensing-as-a- service model. If you’re a high-value sensor manufacturer you typically sell to a distributor who sells to someone who makes something and so on.